Locharburn Vineyard and Wines is owned by Jenny and Chris Hill who are both ‘hands on’ in the vineyard and business. 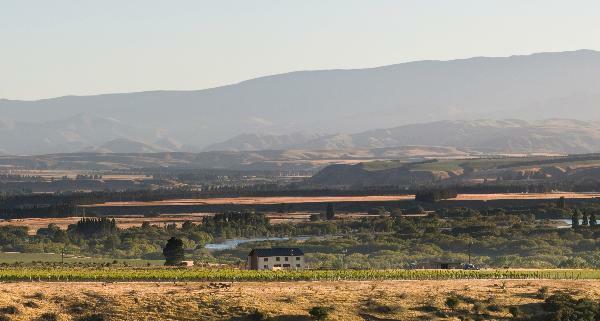 The vineyard is located on the Cromwell-Luggate Highway, on a north easterly facing terrace, with breath taking 360-degree panoramic mountain views. These boutique single vineyard wines, Pinot Noir, Pinot Gris, Pinot Rosé, Sauvignon Blanc, Chardonnay and Riesling, are low cropped and hand harvested, grapes are crafted into limited-release wines by award-winning winemaker, Jen Parr.